Wayne Gretzky retired in 1999 holding a staggering 61 NHL records that remain 20 years later. But he believes one, in particular, could be broken by Alex Ovechkin: his regular-season goal-scoring mark of 894. The Washington Capitals captain boasts 658 goals, or 236 fewer than Gretzky. The 33-year-old Russian needs to average 33.9 goals over the next seven seasons to make history. Dom Luszczyszyn of The Athletic makes a compelling case as to why The Great Eight and The Great One could be the only two players to score more than 237 goals in NHL history after turning 33. 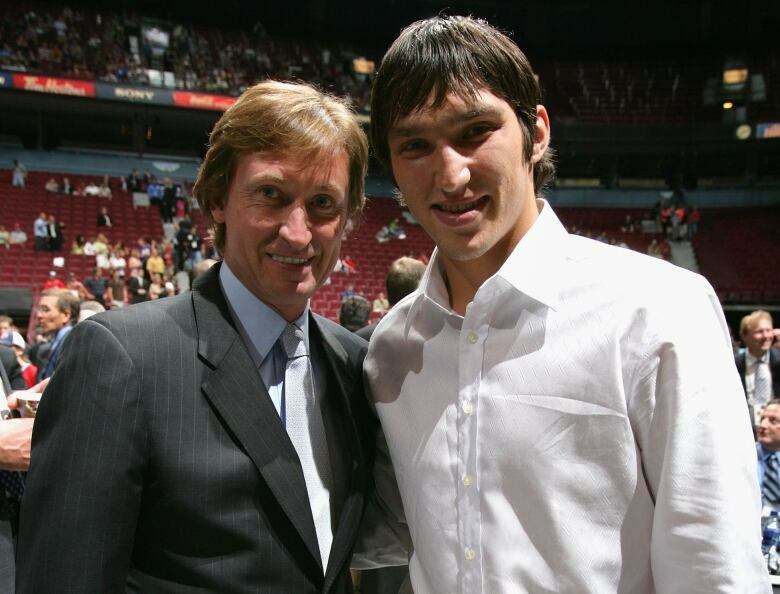 The odds are stacked against Ovechkin, but Gretzky is convinced it could happen. “Absolutely. First and foremost, you got to be injury-free and Alex has been injury-free throughout his career,” Gretzky said on this week’s Hockey Night in Canada podcast to be released Thursday, commemorating his retirement on April 18, 1999. Ovechkin has produced eight 50-goal seasons and 47 on average. Should he maintain his current pace, he would break Gretzky’s record. Gretzky’s support comes from his dad, Walter, who pointed out how gracious the late Hall of Famer Gordie Howe was when his goal record was broken by No. 99. “My dad said when I broke Gordie Howe’s record, and I was a little bit embarrassed, he said, ‘You know, one day someone is going to come along and maybe break your record and you just make sure you handle it yourself the same way Gordie Howe did,'” Gretzky said.